Batwoman and Renee Montoya have ambushed the ball which the Clock King has organized to sell his drug, Kairos. Kate rushes the Clock King but is kept back by Tockman’s clockwork robots. Batwoman dispatches the with ease, and she and Renee set their sites on the Clock King once again. Marguerite Bennett and Fernando Blanco finish their Batwoman run with a masterpiece of an issue. 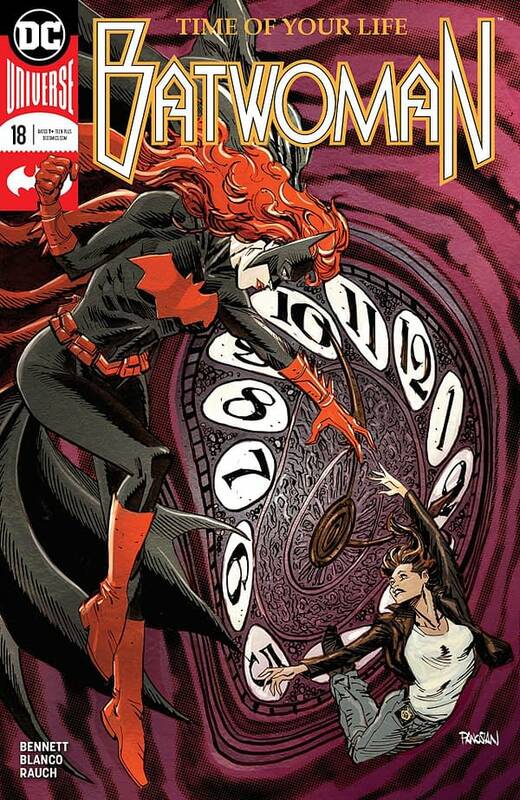 While the Clock King may not seem like the most poignant villain to end any comic book series with, Batwoman #18 sets its focus less on Tockman and more on Kate Kane as her own antagonist. Kate finally reaches some self-realizations and finds internal forgiveness for her mistakes. She understands that the past year of her life has not been another “lost year” but instead an opportunity to make amends, and she looks forward to the future. 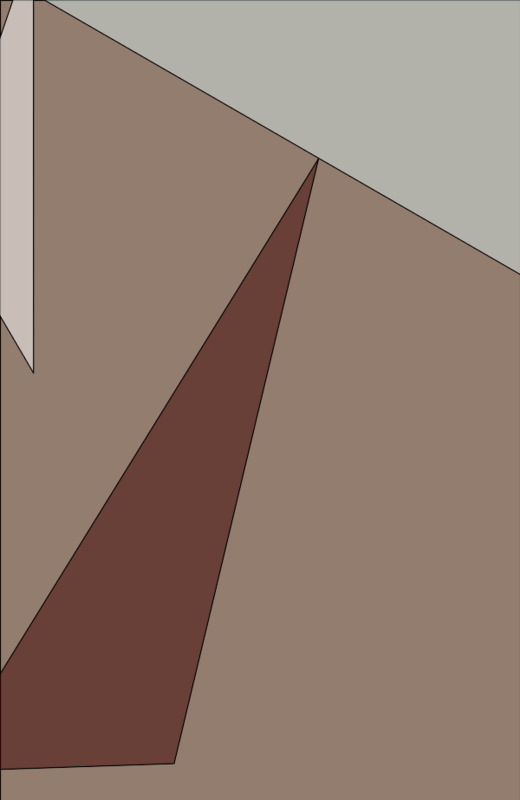 In Kate’s own attempts to set her sites on enjoying the present and hoping for a better tomorrow, Bennett gives a message of hope to the reader. 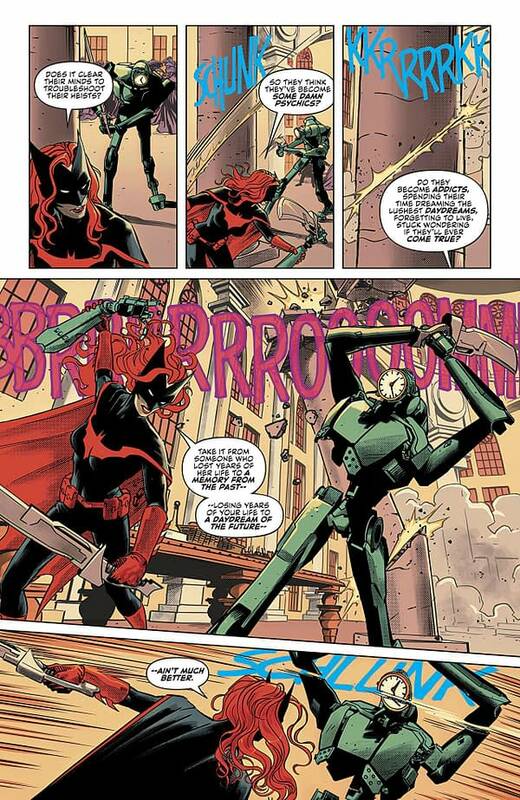 Batwoman #18 implores its readers to live, be happy, and celebrate the person they are. It’s an uplifting ending to an often-dark comic book series. The one notable flaw with the comic is its overuse of splash pages with winding narration that becomes harder to follow as the book goes on. The writing is still good, and the art is gorgeous. 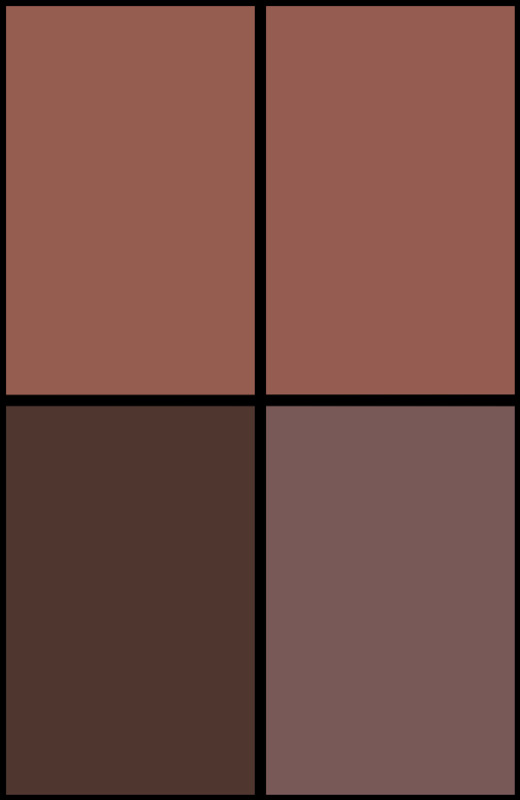 However, it begins to look like a crutch, and the trail of captions you’re intended to follow begins to get loose in the last splash page. Regardless, the comic is fantastic, and Blanco’s artwork is as strong as ever in this final installment. There is a deceptive simplicity to the aesthetic that hides deep texturing and exquisite linework. The characters look distinct and wonderful, and the overall comic is stunning. Plus, John Rauch supports it with well-balanced and deep color work. Batwoman #18 is a beautiful and brilliant conclusion to this run of the series. It’s action-packed, fun, emotionally resonant, and visually gorgeous. This one comes with a strong recommendation. Give it a read.